Mark Zuckerberg posted a photo of himself yesterday celebrating Facebook-owned Instagram reaching 500 million users. At first glance, there doesn’t appear to be anything out of the ordinary going on in the image, but if you look closely you’ll see that the billionaire takes no chances when it comes to protecting his privacy from hackers. 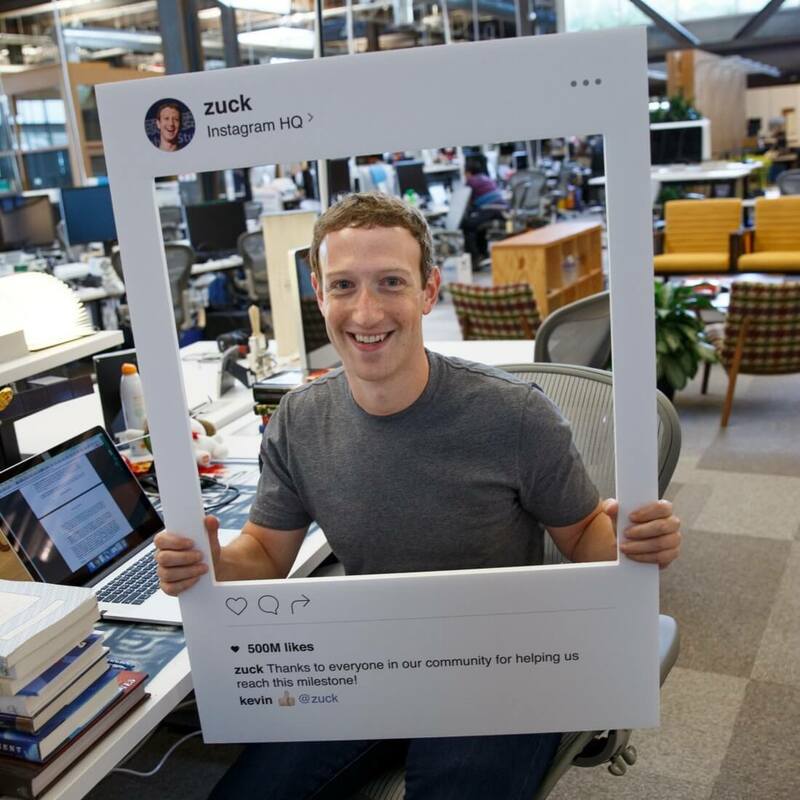 It appears that Zuckerberg thwarts any would-be voyeuristic intruders by placing a piece of tape over his laptop’s webcam. There also seems to be something obstructing either the audio jack or the dual microphones on his Macbook. While physically covering a laptop camera with tape may seem a bit paranoid, the CEO isn’t the first public name to reveal - albeit unintentionally - that he takes the precaution. Back in April, FBI Director James Comey said he also puts tape over his webcam after seeing someone “smarter than I am” do the same thing on the news. Some people have pointed out that the desk isn’t quite the ostentatious, luxury piece of office furniture so often associated with CEOs, and maybe it belongs to someone else. But as noted by Gizmodo, it’s definitely the desk Zuckerberg said was his during a Facebook Live video posted nine months ago, complete with the same books, wooden Facebook sign, and sunscreen. Maybe Zuckerberg purposely left the laptop and tape on show as a way of proving he’s still pretty savvy when it comes to stopping people spying on him. The Facebook co-founder lost some credibility last month when his Twitter and Pinterest accounts were accessed after hackers reportedly found his password – "dadada" – in the leaked LinkedIn data.